In today's changing world, technology changes rapidly. So do Learning Management Systems. New LMS vendors appear, and those well-established in the market upgrade their platforms to keep current customers, and meet the changing demand and infrastructure. As an LMS professional, it's important to keep up to date with what's new in the market, new trends and LMS features, licencing and deployment types, and pricing options. In other words, you need to know how a Learning Management System can meet your changing organizational needs and benefit your organization. Trial and error can be a costly endeavor, and despite the fact that most LMS vendors offer free LMS trials and demos, you know well enough that this may prove to be a time-consuming process. In this article, you may find a list of the latest 44 Free Learning Management System eBooks you can download and read, to get valuable insight, that will grant you competitive advantage in your niche. Each free Learning Management System eBook is accompanied by a brief description about the eBook content, to help you pick up the ones that better meet your interests. Whether you are looking for tips on purchasing, designing, implementing or fully exploiting an LMS, here you are sure to find more than one eBooks that will quench your thirst for knowledge. This list will constantly be updated with new LMS eBooks, so keep it as a reference and ... enjoy your reading! The question of whether you should choose a new LMS and implement it, or take the option to migrate to a new learning platform, may turn out to be a tedious one. That’s why this eBook will most likely turn out to be of great help, as it considers all relevant matters, be it learners engagement and its measurement, eLearning administration, and a series of other challenges, for which you’ll be adequately prepared after reading it. It also gives you a look at ways to mitigate risk to ensure its fit to your organisation’s culture and the long-term success following its execution. Administrate's training management software is made to make the lives and jobs of training providers super easy! This is a helping hand, so that you manage everything training related from one central system while helping you deal with all your training administration tasks. Basically, an effort to save you time, money, and effort, all while making it easier to run your business, and making your more successful! This eBook is a collection of all blog posts which specifically focus on the many ways Administrate can help directly tackle problems training providers face every day! With growth and acquisition being high priority for platforms, learn how integrating payments will allow you to scale and drive even more users. There is so much to learn and test for your eLearning courses, but you shouldn’t be intimidated. This eBook by Paysafe will open the door to the evolving world of eLearning finances and payments for you, providing you all you need to know for the best possible user experience, bringing growth for your organization. After much deliberation, your organization has made the critical decision to replace your old LMS with a new system; οr you’ve finally decided to implement an LMS for the first time. 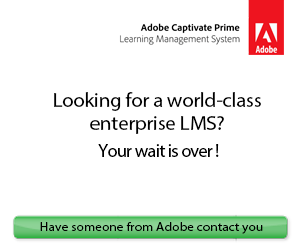 In either case, the issue now becomes: How to plan for the LMS implementation? In this eBook you get to read about the steps to get you there, and how to select a framework for designing your learning materials. You’ll also learn how to pick your LMS implementation team, establish an implementation plan and timeline, prepare for data migration, assess and wrap up. Plus, you are offered tips for trials and training on your new LMS. Reporting is a hugely important task for any business, and it's vital that you can report on everything you're doing so you can easily get a full picture of your company's performance. LMS reporting allows you to specifically report on all the eLearning aspects of your training business so you can easily measure your success, while comparing and contrasting the data with reports from the rest of your business. The "Big Data for Big Profits: How LMS Reporting Can Help Your Training Company Achieve Success" eBook is full of information and advice on how to make the most out of your LMS reporting system! Moodle is used by countless organizations in healthcare, enterprise, and even non-profit arenas to ensure employees are provided with learning opportunities to meet their performance goals. This guide, opens a discussion as to how Moodle is best utilized for your corporate eLearning needs, covering everything from the hiring and interview process, to product and service launches, compliance and competency training. As well as seamless eLearning Course Development, and forming communities of practice in Moodle. If you’re looking for a way to make sure your training operation runs smoother, a TMS (Training Management System) could be the answer to your problems. Training Management Systems, like Administrate, are designed to manage your entire training operation for you, so your staff don’t have to deal with as much administration, repetitive tasks, and duplicate data entry. If you’re considering a TMS for your business, you may think that only a few people in your organization will actually get any use out of the system, but this eBook is here to show you that your entire business can work with a TMS in a useful way! You'll be presented with the most common teams of staff that are usually present in a training company, and highlighted all the different ways they can use Administrate to improve their output as a department and help your entire business run more effectively! Making the decision to implement a new training and development program can be exciting and daunting. There are many steps to complete and knowing those steps from the beginning will help streamline and optimize the implementation process to save your team time and resources. This step-by-step guide details how to plan for, choose, implement and evaluate an engaging LMS, making the whole process significantly easier. An LMS feature checklist to help you select the right eLearning training solution for your organization based on your unique needs. These LMS evaluation criteria will help you prioritize which features matter to you most as you analyze LMS solution providers, helping you to save time and quickly weed out the providers that aren’t a good fit. When searching for a complex tool like an LMS, with a huge amount of features to choose from, there is nothing better than a good checklist to organize your thoughts. The content of an LMS is just as important—if not more so—than the LMS itself. Good design, engaging content. All that helps to draw in your learners and cultivate a culture of learning. This includes the foundations of designs, insight on photography and video, and content interaction. Get an idea on the kind of filling you should do, along with inspiration, a full series of recommendations on LMS Design and Content Resources, free tools, and the experts’ contribution on the subject, in an all-in-one package, for your eyes only! Finding the right Learning Management System (LMS) has never been more important. Today’s workforce demands opportunities for professional development and growth. You need to pick the best LMS for your company if you want to attract and retain talent over time. Through these pages you are guided on recognizing your goals, and the way you will use your LMS, the features you’ll be needing the most and consequently will weigh on your decision. Along with them you see how you can measure the success of an LMS, and other processes you ought to run within your organization. This guide is a compilation of step by step directions, best practices, and tips designed to assist users who are about to install their first Moodle site, but it also provides great background information if you are a more experienced Moodle user. The most common terms, the process of planning, course creation, management and categorization, advanced features and many more that will broaden your knowledge of Moodle, upgrading you to use it for the best of your learners and your organization. Multitenancy in an LMS is when different groups or organizations use the same infrastructure, applications, or databases. One organization may have different groups, each with their own courses, materials and needs, but uses one central learning management system. This eBook specifies on how Totara and Moodle support multitenancy, issues of privacy, and manage users, courses, admins, code and miscellaneous matters. And there’s a presentation of three approaches to multitenancy on top of it all. If you’re looking to implement a Learning Management System (LMS) into your training business, then this eBook is for you! It covers everything you need to know when you’re shopping around for a new LMS, from tips on choosing the best LMS, hidden fees you should look out for, and implementation obstacles you need to avoid. So, enjoy "The Beginner’s Guide to LMS Solutions: Tips to Invest in the Best LMS for Your Organization" eBook, and hopefully the LMS decision-making process will be made much smoother! This guide, offers explaination how Moodle transitioned from the education to the business world, where it is now an integral business tool for many organizations. At the end of the chapter, there are explanations about the functionalities that make Totara LMS, the corporate version of Moodle, a better fit for businesses. Moodle is so widely used, and here you are presented with ways it is used in business, healthcare, education and non-profits. Learn about Totara, the open source distribution of Moodle built specifically for the modern needs of businesses today, and get to know why HR managers and compliance trainers love these two platforms. New features in Moodle 3.4 improve the usability for all -learners, users, and administrators, making it easier to tackle the challenges of engagement and efficiency. Practical matters are dealt with here, providing all you need to know to install Moodle for Windows or Mac, manage user accounts, set up courses, enroll learners and create a Moodle quiz. A useful addition to the Complete User Guide To Moodle series, that will help you reach high efficiency levels. LMS reports are an essential component of the eLearning process; both for learners and managers. Learning analytics provide instructors with learning trends to provide better education, and general reporting allows managers to report on overarching progress like completion, compliance, and competencies. All these are realized through Moodle’s extended features, that offer the capability to track performance, engage learners in various ways, accomplish organizational and administrative tasks. As a training management system, Administrate is here to help you run your training business as effectively as possible. Administrate's TMS is equipped with the tools to help you save time, save money, cut out lots of repetitive tasks, and manage all your training administration - all from one place! This efficiency is even more important for smaller businesses because with a smaller workforce it can be hard to keep on top of everything that needs to be done. Collected here, are some of the most popular blog posts which give you lots of tips on how to run your smaller training business more efficiently, help it to grow and be more successful, and how a TMS can improve how you run your small training business. Company leaders view compliance as a prime risk and they are taking it very seriously. In small and mid-size organizations, C-level executives struggle to interpret regulations and turn them into business practices that meet requirements. While many larger companies have adopted systems that allow them to manage compliance, develop talent and align individual performance with organizational objectives, mid-sized organizations can now benefit from integrated learning and talent management systems too. The aviation industry is fast transforming with digitization and an overwhelming increase in the number of travelers and hence, employees within the sector. From training on compliances to global safety measures, aviation sector has to ensure that their workforce gains competent knowledge and experience through stringent learning strategies and appropriate technologies. All the training challenges are put forth and the role of technology is underlined, in an effort to show how an eLearning solution should be build. For more clarity, the case study on Indigo is presented. The task of managing an LMS will have you meet with some determining crossroads, one of which is when you will have to choose between DIY or managed cloud hosting. This is a question that will affect the security and maintenance, speed and performance of your LMS, and the throughout cost of running it. Managed hosting firms allows for a platform that is constantly up to date with new servers and networking infrastructure to provide your learning management system with optimal speed and performance. Have you been thinking about making the move to training management software to help run your training business? This eBook is here to hopefully push you to see that training management software could be the answer to all your training administration problems! Read on for all the tips to make the most of implementing and owning training management software, going through everything you need to do to purchase the perfect system and implement it properly. Best-in-class companies and industry leaders are strained to develop internal talent to meet emerging business needs. Companies using adaptive analytics (and using their LMS as more than a content repository) are more likely to increase learner engagement and adoption. For starters, take a look at what today’s learning content management is like, and the sectors where LMSs are not fully used. Then comprehend the link between engagement and development, created by adaptive learning. Adaptive learning provides the answers to talent management and Docebo’s report that is included here showcases just that. Investing in a new piece of software always requires a lot of time and research to make sure you’re making the right decision and picking the perfect product for your team and your business as a whole. This eBook is designed to make the decision-making process a lot easier by showing you all the different elements you should consider when embarking on your training management platform buying journey. Avoid the stress time, find a training management platform that is designed to make your life much easier, and handle as many of your administration tasks as possible. This eBook focuses on why companies need to rethink their learning technology decisions and help organizations understand what type of learning management system is required to meet the rapidly evolving needs of the learning audience. It sheds light on the top challenges in addressing the needs of the workforce, and the available solutions, along with more questions to consider, before making an investment. The building of the case is constructed by the action steps to gain buy-in, a stakeholder analysis, and metrics to better understand and correlate your technology with your learning and development metrics. It all adds up to some solid evidence why your learning technology strategy is not working and how to battle that. This report also helps you decide what type of Learning Management System you should opt for to meet the needs of your employees. Do you remember that exciting moment when you first received your username and password to your new Moodle site? Many Moodle users recall this moment which is almost always followed by a second thought… “What plugins do I need?” In this guide, you will explore these questions with you so that you can confidently evaluate your eLearning needs and select the Moodle plugins that will help you achieve your online learning and training goals, faster and easier. The holy grail of an LMS is the user experience. This statement defines what will follow, with lots of insight for you on how to revolutionize your learner experience, to make learners love your LMS. Give your attention on the advice here, as it’s fundamental to understand that a program is only as effective as its weakest link. In the case of L&D, this weakest link happens to be learner experience. An LMS must possess certain characteristics to ensure a great User Experience. Learn how to choose your LMS to offer your audience the best User Experience you can. 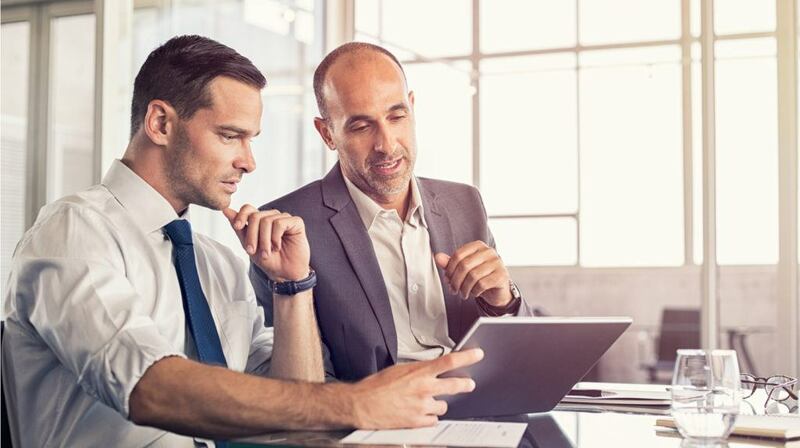 There are plenty of benefits to extending learning to your partners, customers, etc., but how can you actually get started with extended enterprise learning? This free eBook is a major step in finding out, giving you the definition, and benefits of it, examples in practice, and how to get started on it. If you think your online training program should only be limited to your in-house employees, then you are dead wrong. Extended enterprise learning brings significant benefits, but you have to use the right arguments to make your executives see that. How a SharePoint and LMS fusion offers the security and compliance benefits of an on-premise LMS and the cost-effectiveness of a cloud one? Here comes a full analysis of the total cost of an LMS, raising attention to the cases of cloud and on-premise. Plus, an evaluation on the advantages of a SharePoint-based LMS, and why it is more cost effective than other on-premise and SaaS solutions. Even a comprehensive checklist for estimating the total cost of ownership of an LMS is offered. If you are considering adopting a Learning Management System (LMS) and need to build a business case, then return on investment (ROI) is top on your list of things to find out. The solution of an LMS is put to the test of proving itself against face-to-face training, webinar-based training, and proprietary systems. Use the insight found here, to take the steps that will help you assess where your training program stands, the different considerations you need to take into account, and your organization’s potential return on investment with a new LMS. The value that SharePoint’s built-in workflows and versioning facilities offer regarding to Learning Management, and L&D challenges is what you can read about here. More specifically, what learning management challenges SharePoint deals with, and an explanation of workflows and versioning, and their features. More on challenges, with the L&D this time, as well as a description of how ShareKnowledge LMS Extends SharePoint’s value for learning professionals. Many training managers never realize the importance of workflows and version control until they need it, and by that time it may be a bit late. It can seem hard to know where to start when it comes to selecting the right LMS for your business. With over 500 LMSs on the market, all with different feature sets and value propositions, it’s never been more important to do your homework before buying software. Unlike other software categories such as Marketing Automation (HubSpot) or CRM (Salesforce), there's not yet on sight a clear LMS market leader emerging. The market is highly fragmented, which makes it particularly difficult for you (the buyer), to understand what the “best” options out there are. Hence for the assemblement of this comprehensive guide. An L&D program is only as effective as a user’s capacity to actually use the LMS software that supports the L&D program. Download this eBook to learn how to improve your learner experience. Read about differences between user interface and user experience, the essential element of friction in learning effectiveness, and a series of tips to create a great learner experience, modern and effective. Traditional approaches are presented also, but the main idea here names technology as the means to an end in this case. If you use a Learning Management System (LMS), you know the power the platform has to enhance training effectiveness for organizations. The trick is knowing which features to look for. With over 700 options in the LMS market, how do you know which features are most relevant to your organization? The proposition here goes for open source, and sets seven key features under the spotlight. According to those, an LMS should be graded well in training, reporting, eCommerce, media library, responsive and engaging theme design, access to great content and its integration capabilities. A step-by-step guide to choosing the most beneficial LMS for your needs. Aiming to help you save your time and your money, this eBook deals with the features you should add to your LMS selection team, the requirements you must set, and the selection process to follow, through reviewing and evaluating tips. Additionally to helping you clarify how to choose to best learning management system, you’ll find a description of what happens when you made the right choice. Choosing an LMS that optimally supports your learning organization’s needs (and budget!) can be a tricky, time-consuming process. That’s why Expertus developed this LMS Buyer’s Kit. With everything from LMS rankings and case studies to an LMS RFP template and selection guide, it puts you on the fast track to choosing the best learning management system for your company. Avoid a long, costly process, thanks to the resources found here. They will help you get the most ROI from your new LMS investment. At Administrate, they think reporting for a training company is extremely important. You need to be able to pull exactly the data you need, at any time, and produce a relevant and usable report, which can help you make business decisions for the future. To reflect this, here is a collection of the top posts produced on reporting and measurement for online training, all in one handy eBook! You’ll see how reporting can be done as easy as possible, and transform into something you actually look forward to. You know a Learning Management System is a big investment for enterprises. You know your organization would benefit from investing in an LMS, but you have to gain internal buy-in from your company’s key decision makers. This LMS Project toolkit has everything you need to help you gain executive buy-in more efficiently. Read how to build a business case, tips on purchasing an LMS, composing a ROI checklist and a presentation guide for use in executive discussions. Are you hitting the market for a Learning Management System, but don’t even know where to begin? Which LMS features will benefit your small to medium-sized business and ensure online training success? Which SMB Learning Management Systems is best for your limited eLearning budget? Do the benefits justify the investment? Using a new SMB Learning Management System can revolutionize the way you train your employees. The free ebook Successful Learning Management System Implementation offers you a glimpse into the minds of Top Learning Management System Experts who are here to help! It is full of knowledge on LMS implementation, compiled into one informative guide with the factors and steps that will bring success. Carefully selected Top LMS experts, help you every step of the way; they separate the wheat from the chaff and determine which approaches, tips, and tricks are worth adopting. With this list of free Learning Management System eBooks on-hand, you can tap into the insight, advice, experience and expertise offered by top LMS experts. Best of all, they are all for free, and you can download them quickly and conveniently.